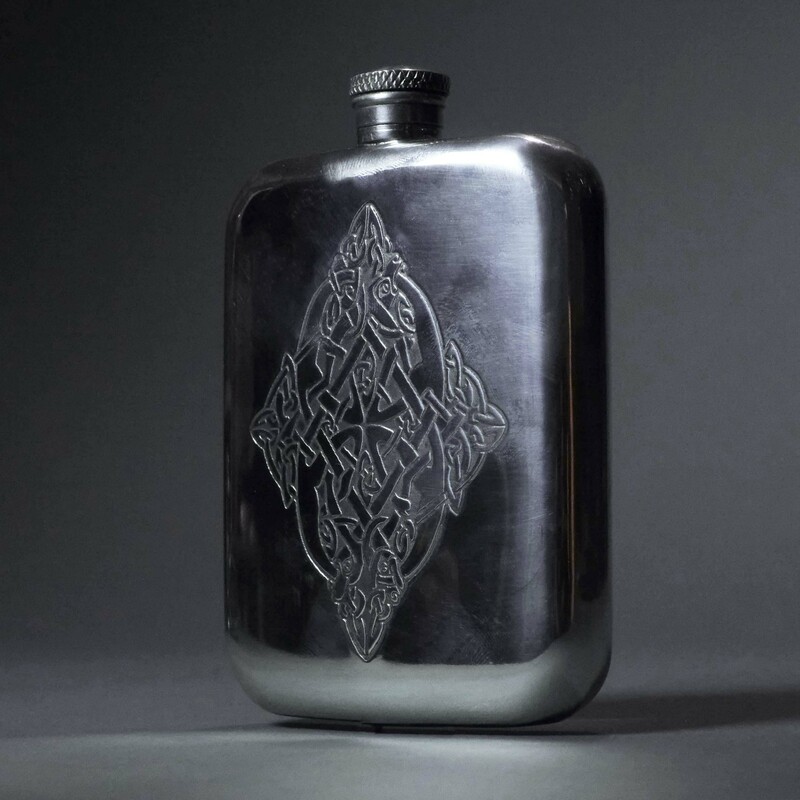 Pewter Flask with celtic design and screw top lid. Holds approx 6 fl oz. Height 13 cm. Made in England. Delivery Policy Purchases will be dispatched within 1-5 working days. Shipping Expected transit times: UK only: First class: 1-2 working days Airmail via Royal Mail: Europe: 5-7 working days Rest of World: 7-10 days or more Shipping Quotes UK £3.99 European Union £7.99 Rest of the World £11.99 Back Orders If your item is not in stock, we will order it for you when possible. The customer will always be emailed with the option to cancel their order if you would rather not wait. Returns Policy If you wish to return an item, please contact us to make arrangements before doing so. From the date of shipment, you have 28 days to evaluate your purchase. Provided it has not been worn, used or damaged and no labels have been removed, you may return it in its original, undamaged packaging for a full refund, credit note or exchange. This does not affect your statutory rights. We will refund shipping charges only if the goods are faulty.